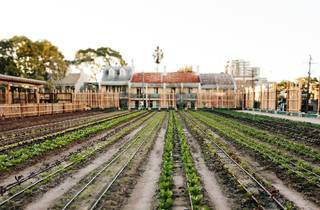 Pocket City Farms is a not-for-profit, turning disused spaces into sustainable farms in the middle of the city. 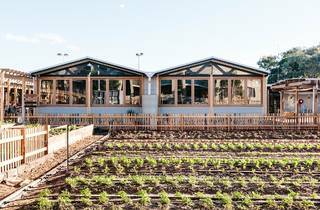 The project started out six years ago, looking for suitable locations to grow food – focusing on underused spaces like rooftops – but to their surprise the first viable location was a former bowling green. 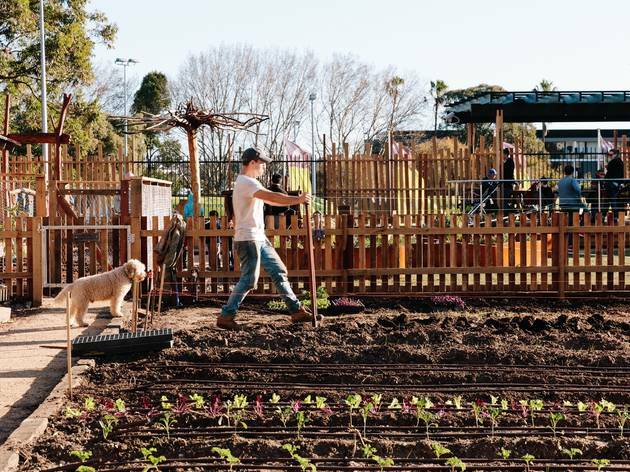 “We didn’t think we would be lucky enough to find somewhere at ground level,” says co-founder and farm manager Michael ‘Zag’ Zagoridis, 34, who tells us the main challenges of transforming the old Camperdown Bowling Green into a working vegetable farm included removing compacted grass and making sure the soil was tested for chemicals and heavy metals usually found on greens. To combat the lack of nutrition in the soil, the team (which includes Karen Erdos, Adrian Baiada and Luke Heard) built a temporary compost bay, which they used to make green manure that helps to put nutrients back in the ground. 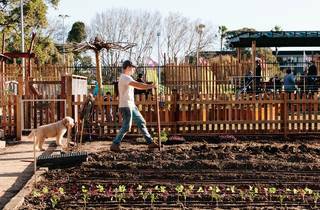 Once the site is more established, it’ll operate on a closed loop system with a greenhouse that turns over five cubic metres of compost per week. Food scraps come from the restaurant on site, Acre, plus leftovers can be brought in by locals through a community-composting program. 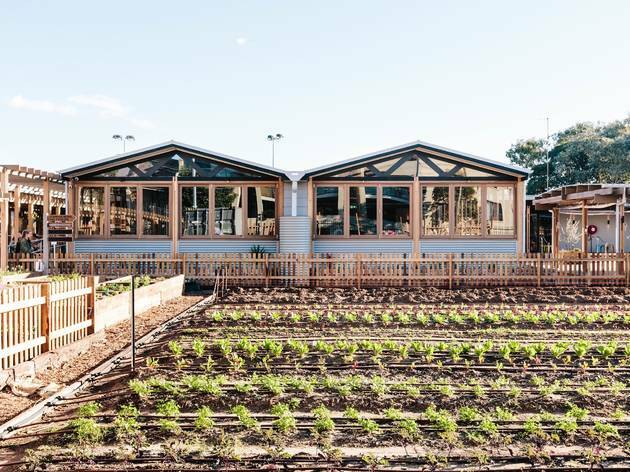 At Camperdown Commons they’re growing leafy greens, herbs and root veggies, like kale, parsley, coriander, radishes, baby spinach, rocket, silverbeet and carrots. What they grow is seasonal, and as summer approaches there’ll be eggplant, tomatoes, zucchini and pumpkin vines. Everything is grown using organic and ecological methods – some of the produce makes its way onto plates at Acre and every Saturday there’s a market on site from 9am-2pm. 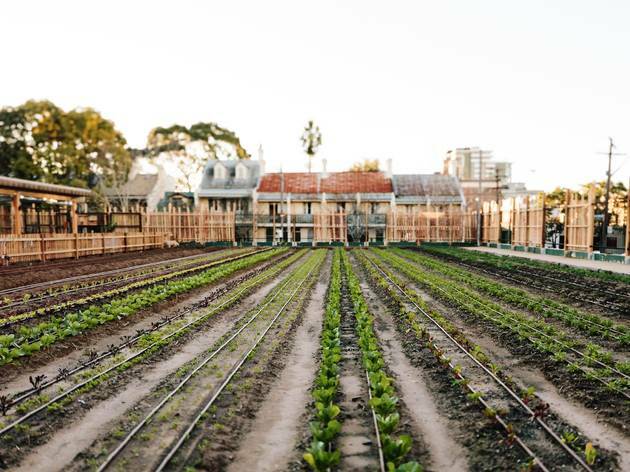 “Once people learn how to grow their own food, whether it’s on their own balcony or otherwise, I think you realise how long it takes and that’s an important factor for people to realise the value of it,” says Zag. For those who want to muck in, they have weekly volunteering sessions open to all ages and abilities – and you don’t need any prior skills or knowledge. 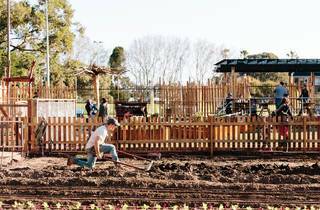 They also have lunchtime yoga sessions, for $10-$15, and they’re running workshops in small-scale edible gardening, composting, kids’ gardening and forage floristry. “Having a whole variety of people use the farm in different ways is what makes it financially sustainable,” says Bowen. 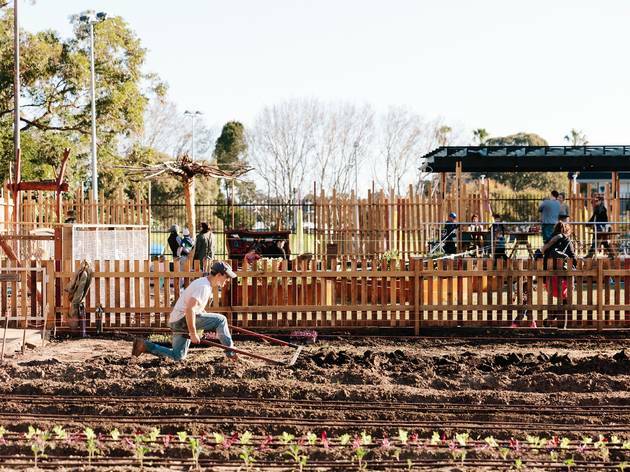 Each dollar counts towards the future of the project and adds to the likelihood of more urban farms cropping up around Sydney. Even ordering a bottle of house wine at Acre makes a difference – which is something we can definitely get behind.